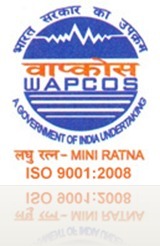 WAPCOS Water and Power Consultancy Services Limited | Govt. Jobs | Last Date: 21 December, 2011. BE/ BTECH (Civil/ Electrical) required in Water and Power Consultancy Services Limited, New Delhi. Posted in Civil, Electrical, Government Job, Job After Btech, With experience. Tags: 2011., Govt. jobs, Last Date 21 December, WAPCOS, Water and Power Consultancy Services Limited on December 7, 2011 by kavita joshi. Tamil Nadu PSC is having 79 vacancies for the post of Forest Apprentice and is looking for Engineering graduates for the vacant positions in the Company. The Candidates having B.Sc and BCA degree are also eligible to apply for the positions. Age : The minimum age of the Candidate should be 18 years and the maximum eligible age is 29 years, i.e, b/w 18 to 30 years. Posted in Agricultural Engineering, Agriculture, Apply online, Chemical, Civil, Computer Science, Electrical, Electronics and Communication, Freshers, Government Job, Job After Btech, Mechanical, With experience, Without Experience. Tags: 79 posts, BE/ BTECH Recruitment, Forest Apprentice, Government Job, Last Date 21 December, November 2010, public sector job, Tamil Nadu Public Service Commission, TNPSC on November 29, 2010 by Lalit Joshi.